Welcome to the NEW Matsu Sushi! 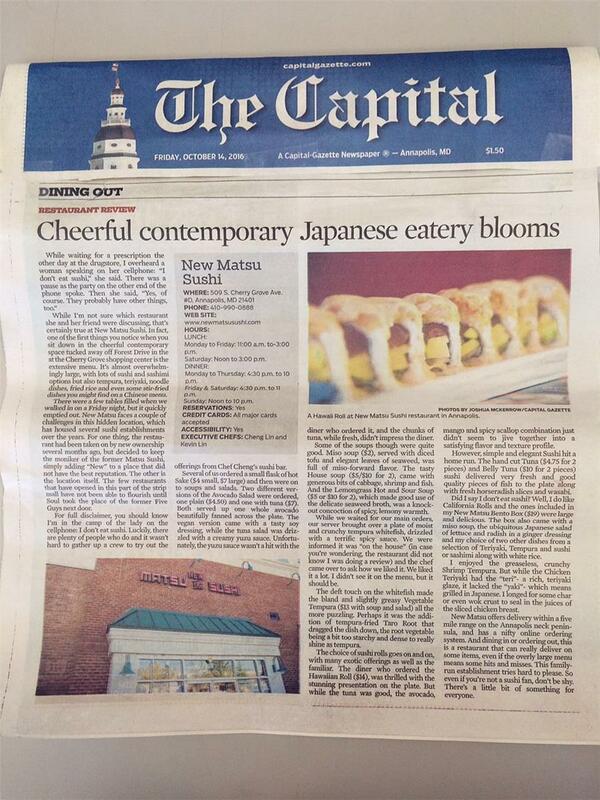 We are happy to announce NEW Matsu Sushi is now under new ownership and we look forward to meeting you soon. Sushi Chefs Cheng and Kevin have been working in Manhattan, New York for over 10 years. We are excited to bring you our fresh, modern approach to your sushi dining experience. We offer traditional Japanese Cuisine as well as Sushi and Sashimi. 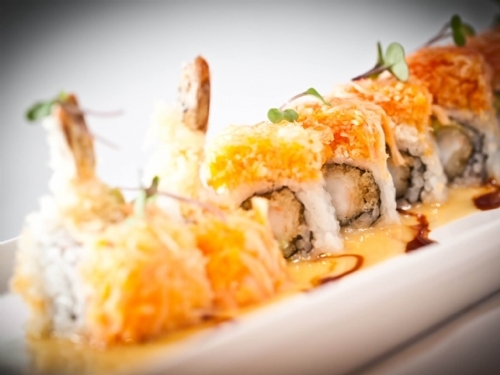 We believe your sushi dining experience should not only be tasty and flavorful but beautiful like a work of art. We take tremendous pride in our unique creations to satisfy not only the most discriminating palate but also appeal to the art lover in us all. 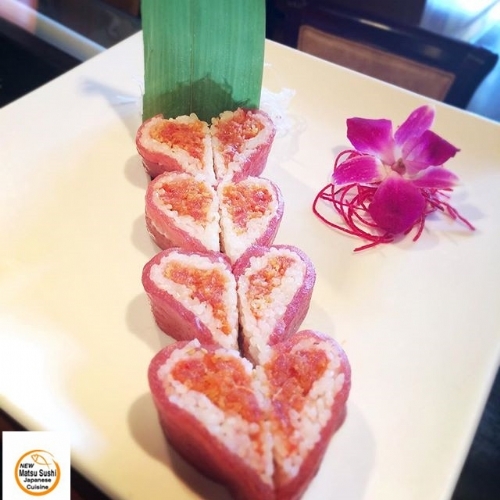 You will be amazed at our lovely, delicious sushi and sashimi creations. We use only the finest, freshest ingredients. 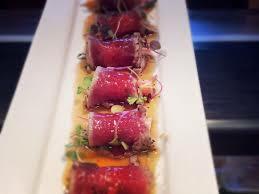 Please stop by and say hello for lunch or dinner and let us know what your favorite Japanese and Sushi dishes are. We can customize our offerings to your liking. We will take pleasure in providing you a unique Sushi dining experience. We welcome you calling ahead to carry home or stop by, no reservations necessary. Our family looks forward to serving your family.